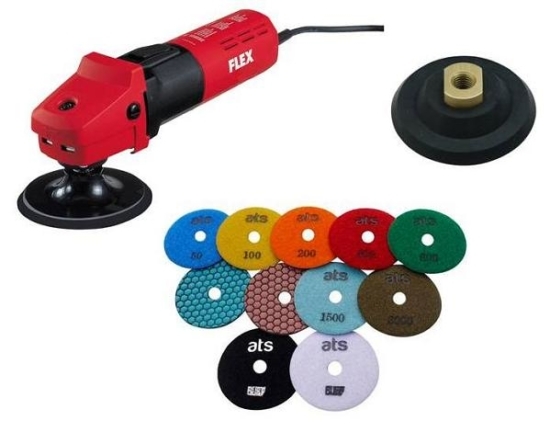 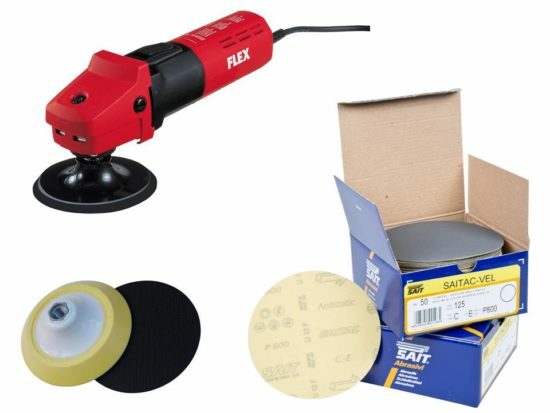 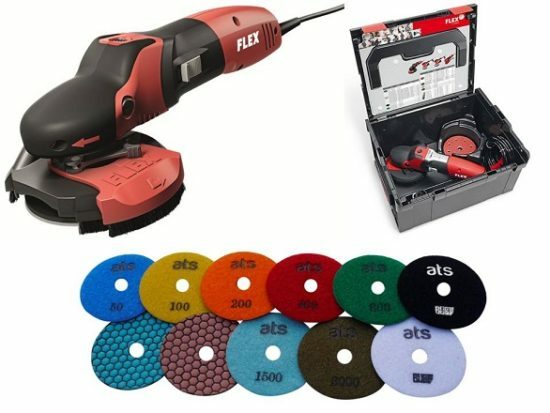 The set includes the Flex SE14-2 125 SET variable speed polisher with dust extraction. 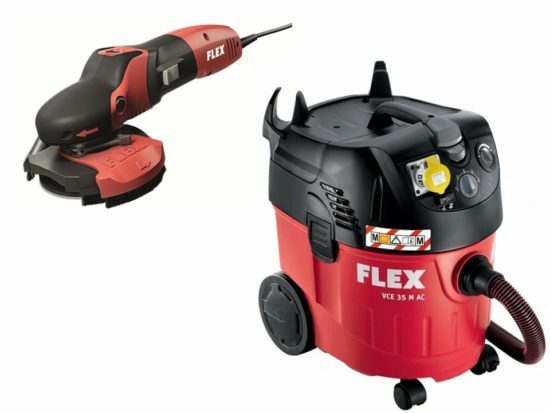 This is a limited time bundle offer whilst stocks of the VCE 35M AC 110v vacuum last saving £20.00 on buying both items separately. 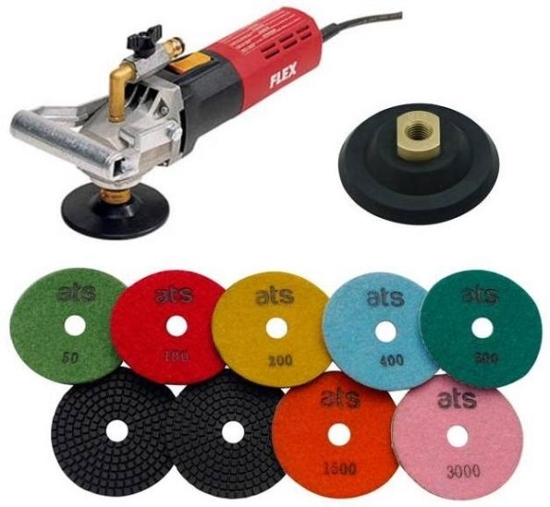 Great starter set for polishing harder stone dry, particularly granites. 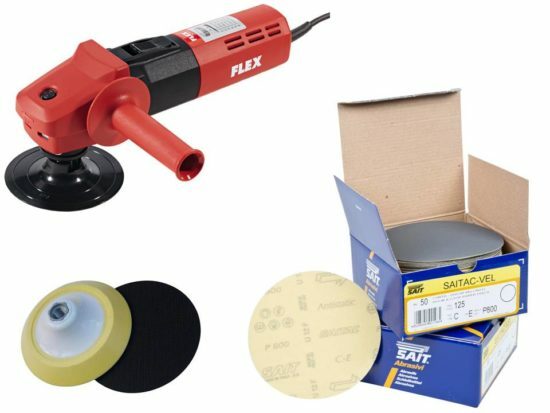 This is a bundle of items available in 110v only. 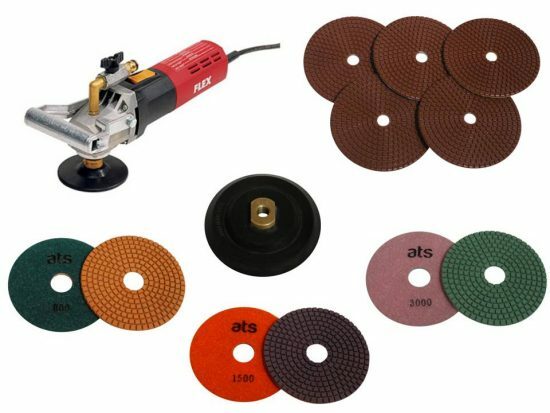 The perfect starter set up for wet polishing any natural stone. 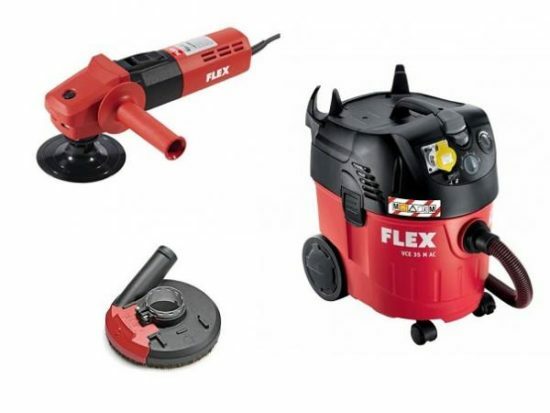 The perfect starter set for tilers or masons if you don't already own an angle grinder and you're looking for a versatile machine that will grind and polish. 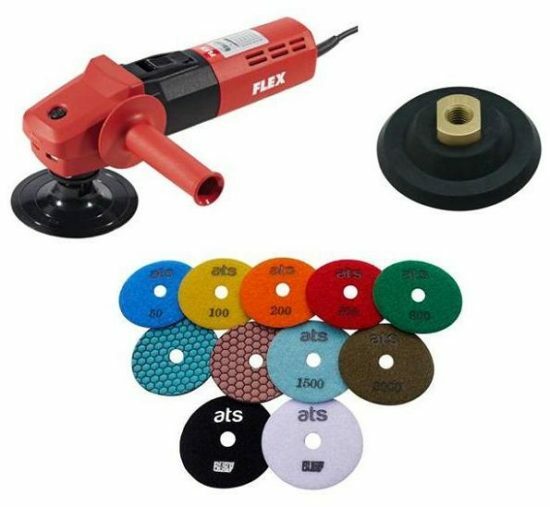 The perfect starter set for tilers or masons if you already own an angle grinder and you're looking for a dedicated low speed polishing kit.